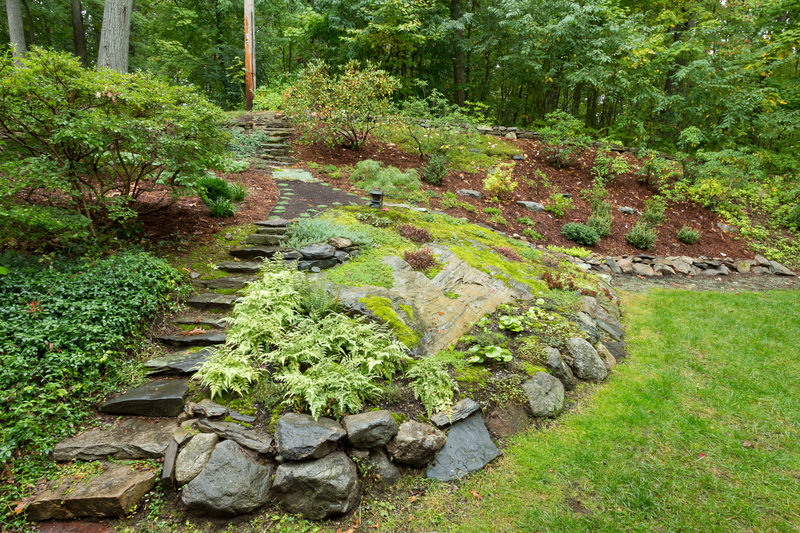 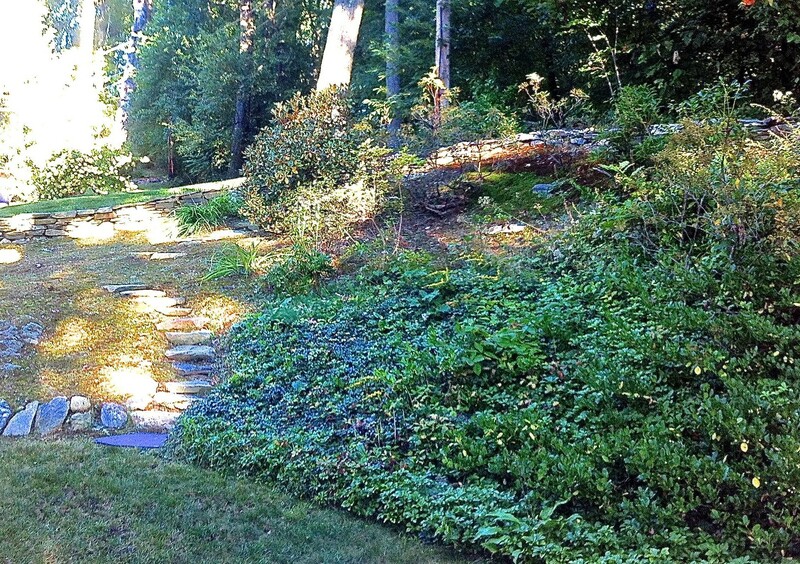 Part of the Tower Hill City Spaces and Country Places garden tour in 2015, this shady, hillside garden had been overrun with weeds for years. 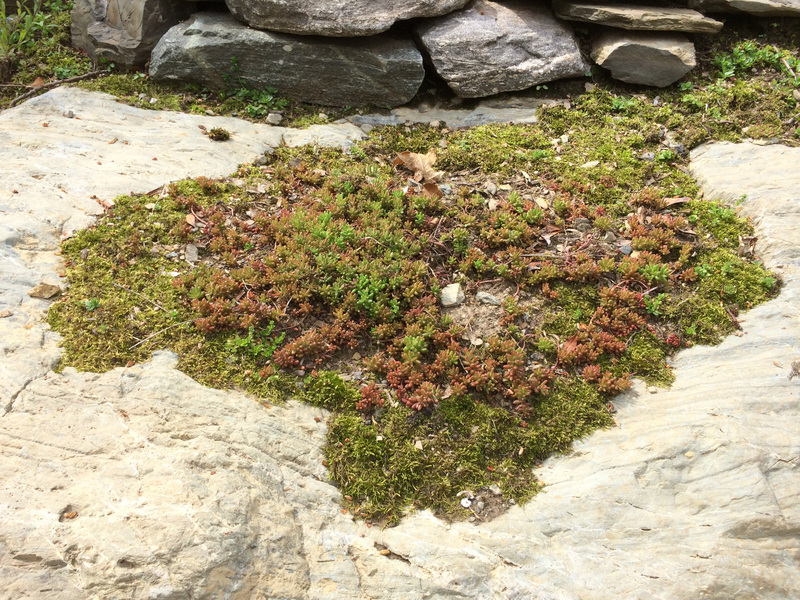 It was ugly and frustrating for the owner. 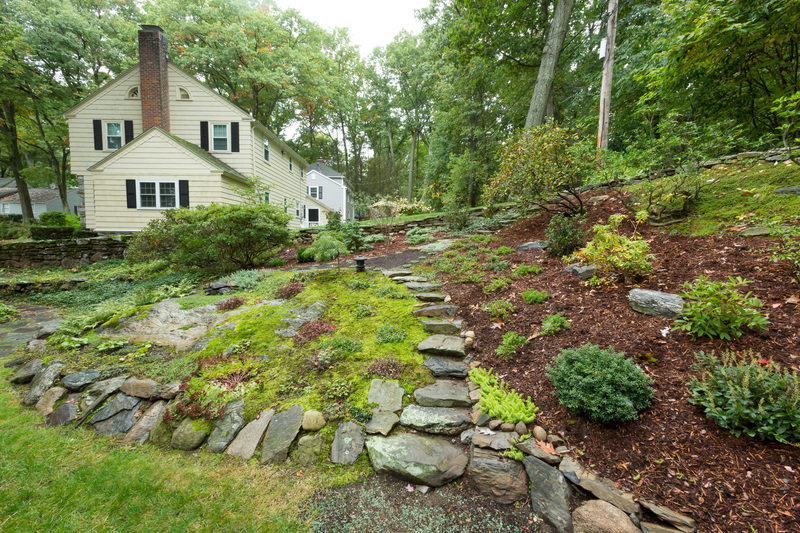 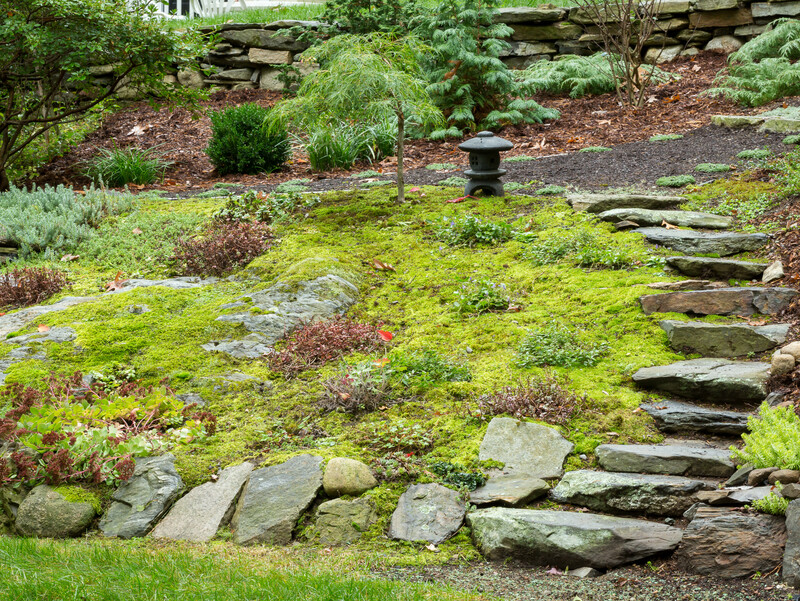 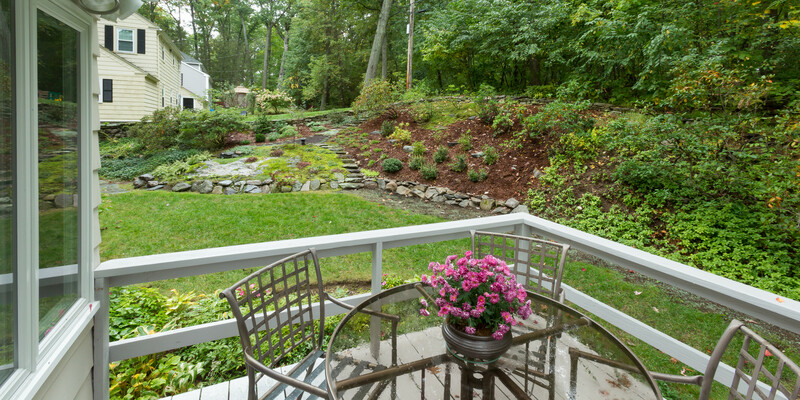 She requested that invasive plants be removed and managed, a tree or shrub be planted to help screen the area from her neighbor’s back yard, the exposed ledge become a centerpiece of the garden, and the new design be integrated with existing landscaping. 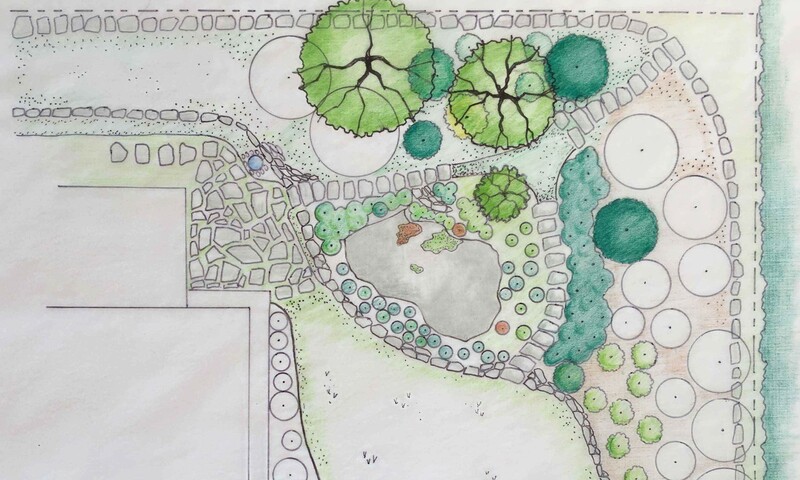 She requested for it to be a calm, peaceful design, with evergreen plants and reuse of existing plants, as possible. 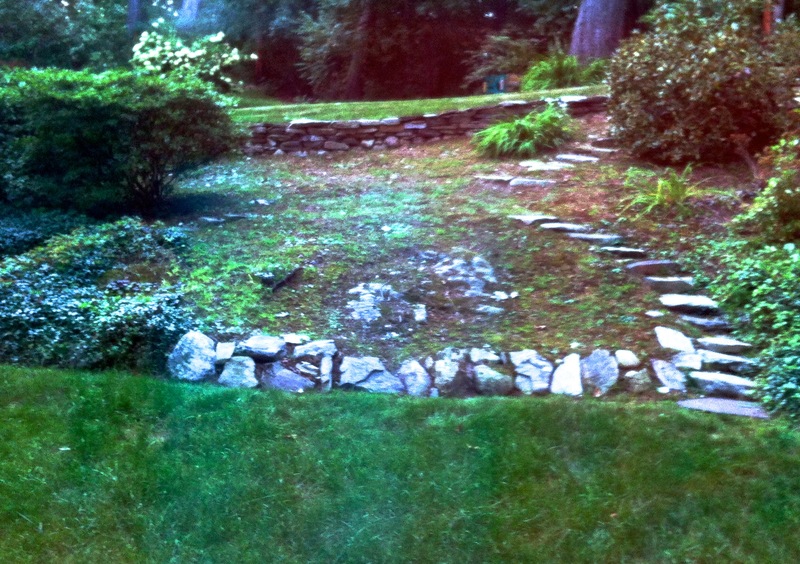 The ferns, moss, and gingers were transplanted from other areas of the garden prior to sheet mulching to manage the existing bishops weed.